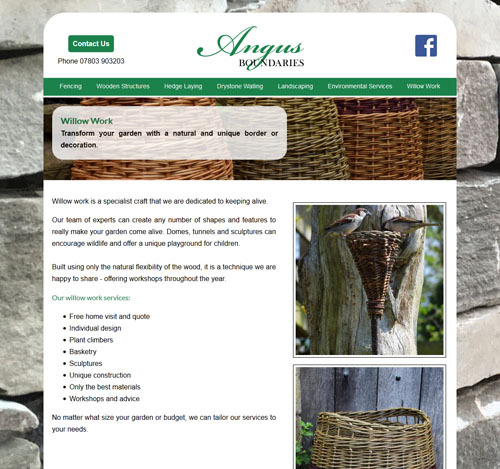 For many years Angus Boundaries had a website which was designed and hosted by Yell. The site had become old and could benefit from a complete overhaul. The good news for Angus Boundaries was that we were able to redesign their entire website for about the same price as the annual hosting fee that Yell were charging. Over the years this new, cleaner website will save Angus Boundaries hundreds, if not thousands of pounds.